Wired fiber-to-the-premises (FTTP) is the speediest, healthiest, most secure, reliable, and energy-efficient way to stream Internet and video data. Wired networks are always faster and safer than wireless 5G. Community broadband creates jobs. 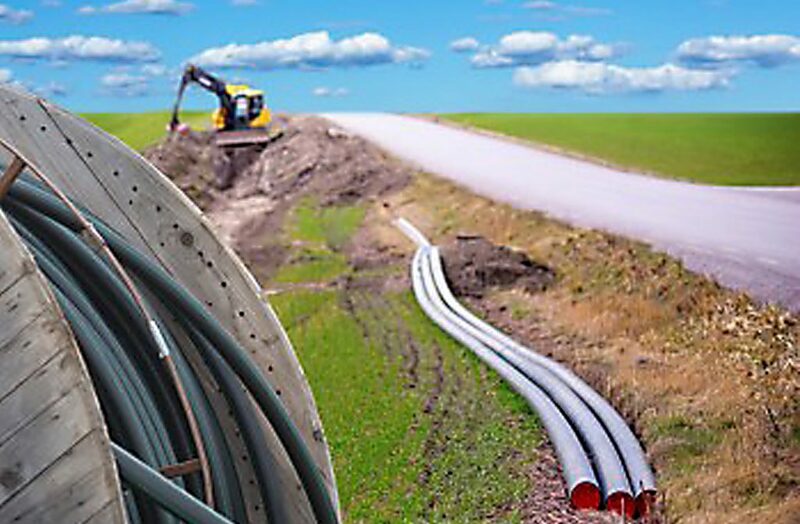 Fiber connectivity encourages business to stay, helps businesses grow, and attracts new businesses. FTTP networks support home-based startup businesses and allow workers to telecommute. It makes a community a more attractive place to live — especially for young people. Fiber connections permit local health care providers to call upon specialists in other centers and enables cost-effective distance learning. Community-owned fiber generates profit for the community and keeps the Internet in local hands. Fiber optic cables installed to every home can provide ultra-fast download and upload speeds of up to 1000 megabytes per second – with no data caps and no RF microwave radiation hazard. This allows us to take a precautionary approach to protecting our family’s health. Untested 5G wireless frequencies have not been proven biologically safe. Independent science overwhelmingly finds that non-thermal radiation can cause a multitude of health problems. DSL and cellular services are asymmetrical – the data upload speed is not as fast as the download speed. But fiber service is symmetrical. This means you can upload content as fast as you can download it, which is a real bonus for home-based businesses, creatives, techies, wired smart city applications, and everyone. Wired networks deliver data to browsers with minimal processing other than ad insertion. Wireless is a much slower shared medium and is constrained by limited display capabilities that must be formatted for smartphones and tablets, and are managed differently by each carrier depending on their marketing and data plans. These phones and formats are constantly being “upgraded”, as are the networks themselves. Planned obsolescence is an inherent characteristic of wireless. This constant change makes wireless an unstable platform for broadband access compared to wired. Community-owned fiber offers neutral, data-secure delivery. Private internet service providers may choose to favour or block particular products or websites. But in community-owned networks the content is open. This limits proprietorial equipment upgrades, cyber-security risks, keeps costs down, and promotes net neutrality. 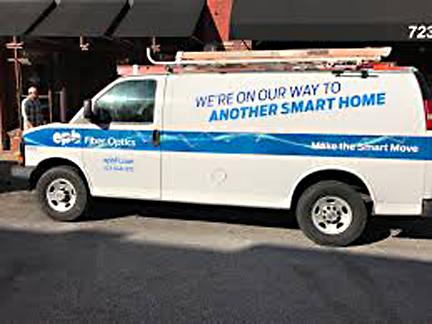 Sending data through fiber optic cables connected to our homes is many thousands of times more energy-efficient than streaming data wirelessly through the air and from the curb. The main energy culprit is wireless video. While WiFi is more energy efficient by far than using cellular signals, wireless providers are pushing 4G and 5G cellular. 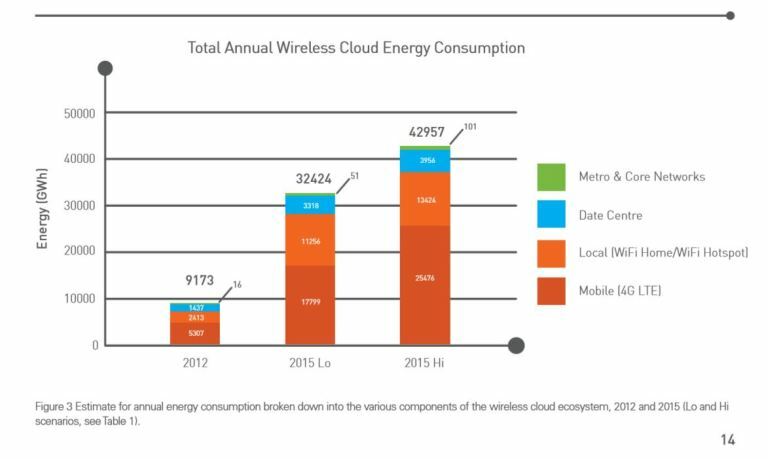 In 2012-2015 the carbon footprint of the wireless cloud was equivalent to putting 4.9 million new cars to the road, or an increase in energy use of 460%. 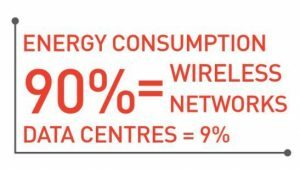 Up to 90% of this energy consumption is attributable to wireless access networks, with only a fraction attributable to data storage. 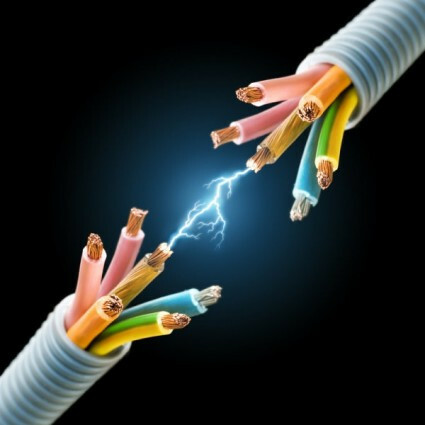 Community-controlled wired fiber networks are unlikely to experience a data breach. On wired networks, data privacy can be protected by using wired local premises “gateways” that provide firewalls, filters, and put the user in control of the data flowing in and out of the home. Wireless networks are not secure. Hackers may easily access personal data. 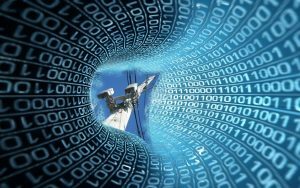 Security agencies across the globe are concerned about the national security threats posed by corporate-controlled wireless 5G networks. In Canada, telecoms are building wireless 4G and 5G network using microcells made by one of the companies in question, Huawei.